Government land tenders for three residential sites - two private and one executive-condominium - closed yesterday. These are the first land tenders to close after further tightening property measures on 6 Jul. 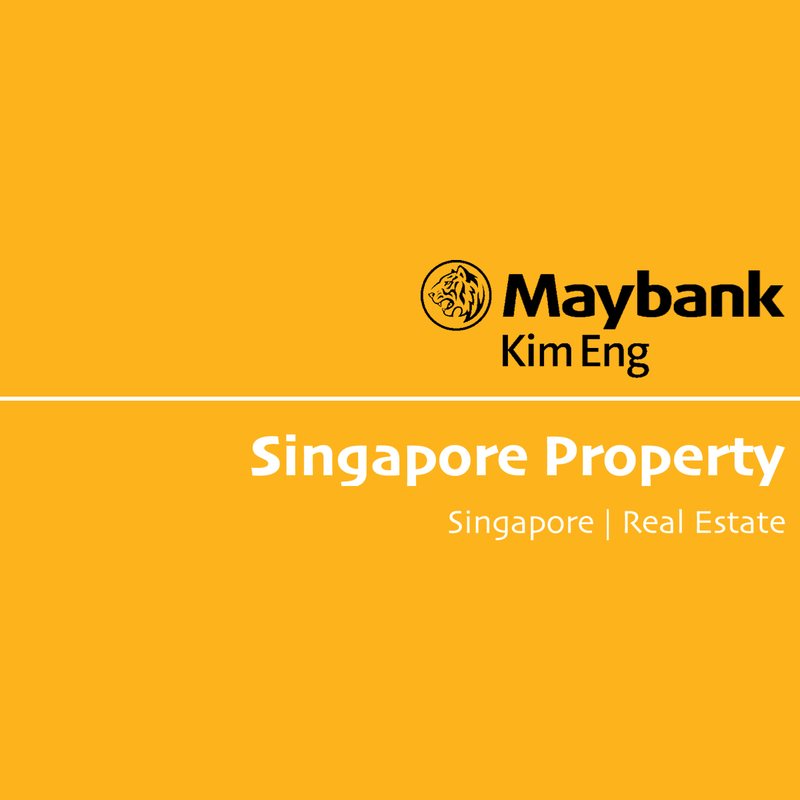 The subdued bids received underscore developers’ caution on the Singapore market and our caution on their stocks. Despite undemanding valuations, we remain NEUTRAL given overhang from policy tightening. For sector exposure, prefer UOL Group (SGX:U14), CapitaLand (SGX:C31) and Ho Bee Land (SGX:H13). Three observations we have are firstly, several big players were absent in the tenders for the two private residential sites. These included CapitaLand (SGX:C31), unlisted Far East, City Developments (SGX:C09), GuocoLand (SGX:F17), other Hong Leong- linked entities, UOL Group (SGX:U14), United Industrial Corp UIC (SGX:U06) and unlisted Kheng Leong. While we believe this partly reflects the sites’ less attractive locations, we think it mainly shows the caution of residential developers. Secondly, United Engineers (SGX:U04) emerged as the top bidder for the Dairy Farm Road site. Its top bid of SGD368.8m or SGD830 psf ppr was one of only five submitted. Adjusting for the newly implemented 5% non-remissible additional buyer’s stamp duty (ABSD) on developers, the SGD872 psf is an 18% discount to the SGD1,068 psf paid by unlisted Hong Leong Group for a nearby Hillview Rise GLS site on 3 Jul. United Engineers’ last project completed in early 2016 was Eight Riversuites. Lastly, there were nine bids for the executive-condominium (EC) site at Canberra Link. We believe this reflects a short supply of EC stock in the market. There are only 21 unsold EC units for sale in the market today while another 820 units from City Developments’ EC site in Sumang Walk will only be launched next year. As these projects cater to occupiers and not investors, we think it reflects developers’ expectations of the sources of demand today. 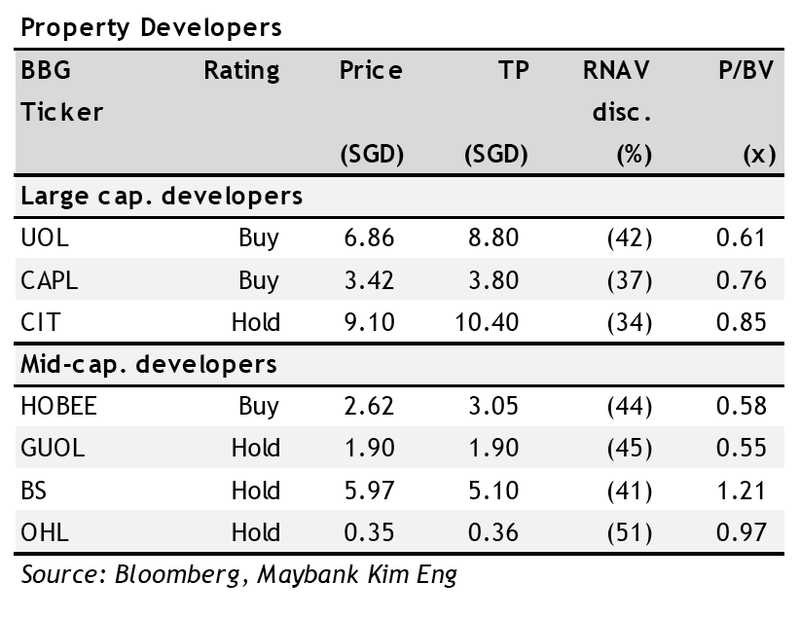 Adjusting for the upfront 5% ABSD on residential sites, the SGD586 psf ppr top bid by the Hoi Hup-Sunway JV matches the SGD583 psf paid for Sumang Walk. We reiterate that the risk-reward for developing a residential project has turned unfavourable after the most recent cooling measures. Upfront costs are higher as developers need to pay non-remissible stamp duties of 5% upfront. Their development risks are also higher as failure to sell all units within five years now attract a 25% ABSD penalty, higher than 15% before 6 Jul.